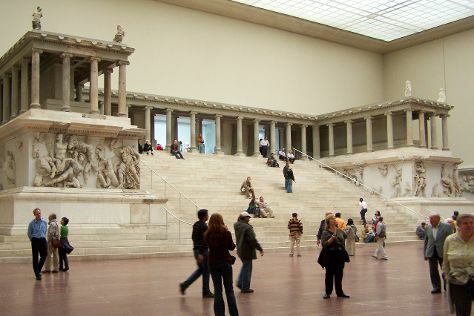 Start off your visit on the 10th (Fri): contemplate the long history of Mauermuseum - Museum Haus am Checkpoint Charlie, then look for gifts at Boxoffberlin, then make a trip to Potsdamer Platz, and finally see the interesting displays at Pergamon Museum. On the next day, wander the streets of Kurfurstendamm (Kurfurstendam), then step into the grandiose world of Charlottenburg Palace, and then kick back and relax at Strandbad Tegeler See. To find ratings, traveler tips, reviews, and other tourist information, read Berlin vacation planner. If you are flying in from United States, the closest major airports are Berlin-Tegel Airport and Berlin-Schönefeld Airport. Cap off your sightseeing on the 11th (Sat) early enough to travel back home.